My favorite sources of imformation are „the Internet“, especially Twitter, and personal contacts. I highly recommend fellow tweeps like @asako_soh, @spookshow71 and my friend @derO23. They are openminded, well informed and no braggarts. I chat nearly every day with them. Back in the day, I worked over a decade for serveral hobby companies and some contacts are still pretty alive. I avoid (German) online communities – their intolerance toward those who hold different opinions is legendary – expect mobbing. 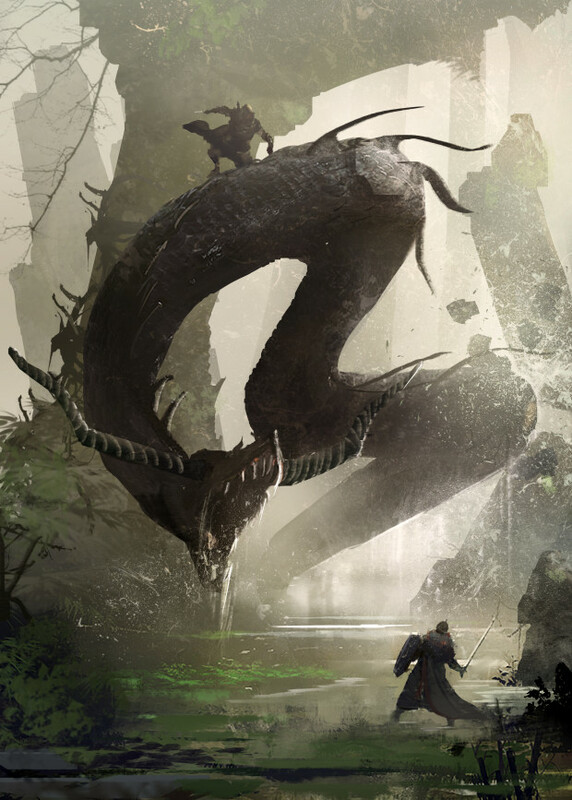 Symbaroum RPG – my favorite (dark) fantasy rpg right now. I also played some Delta Green (horror) and Trail of Cthulhu (horror), too. I clearly prefer the Delta Green approach over Gumeshoe systems (like ToC, Night’s Black Agents etc.). 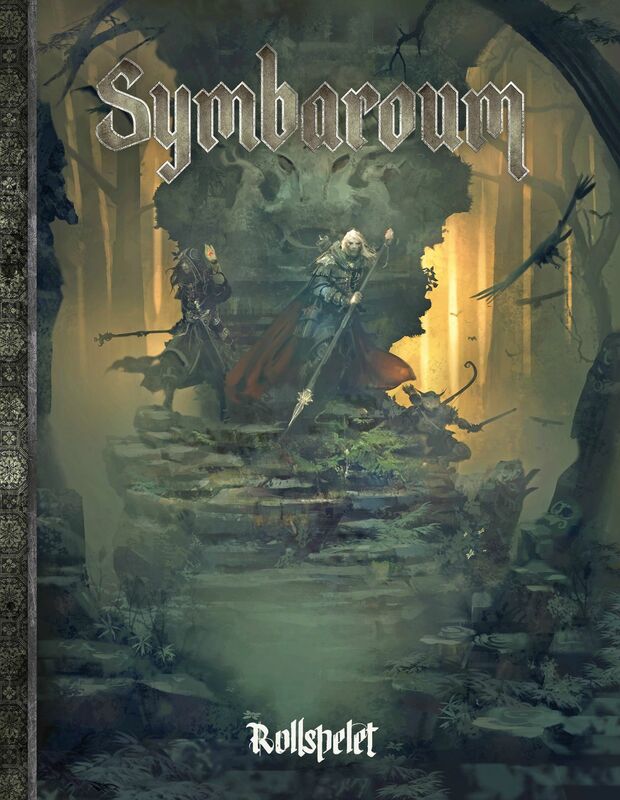 In recent years, I think the cover of the Symbaroum RPG really nailed the „spirit of the game“. Option A: Play a new game every day and try games on my playlist like Shadow of the Demon Lord, Coriolis and/or some PbtA stuff like The Sprawl. Option B: Play a brief campaign or a longer adventure. Option C: Start a rpg experiment – play with multiple GMs, splitting, merging or even opposing adventure parties. Strange Question – Back in the day, my first Tunnels & Trolls game as a GM. I fell in love with this fantastic and creative hobby. 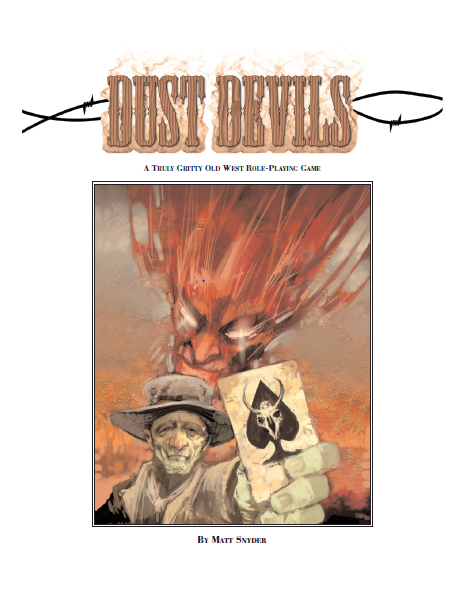 My first „indie game“, a session of Dust Devils, completely changed how I perceive rpg storytelling and narration rights. A long time before such games like Fate/FateCore or PbtA became popular. I don’t care about reviews. In my opinion, most (nearly all) reviews are bought in some way. Furthermore, one man’s meat is another man’s poison. I prefer personal recommendations. 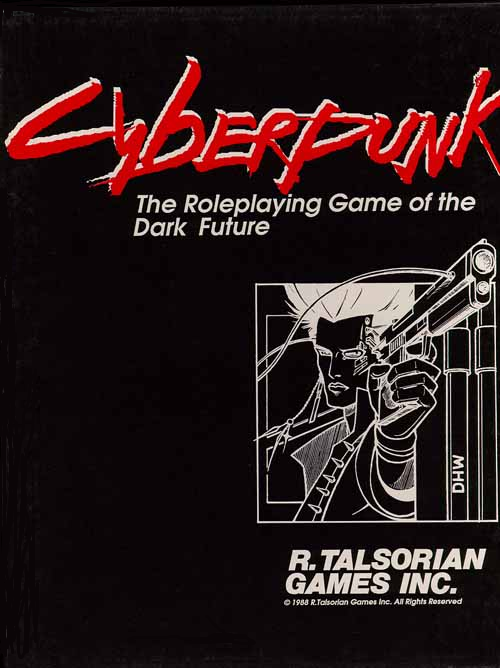 I want an updated Cyberpunk 2013/Cyberpunk 2020 by R. Talsorian Games. The return of their Dream Park and Castle Falkenstein rpgs would also be nice. D&D-wise I am looking forward to a new edition of Planescape. I also like the art for the Fria Ligan’s games. I think indies like Dust Devils and PbtA games still have the greatest impact. They offer „rules“ for my preferred improvisation play style. I’m not interested in open-ended campaigns. These days I prefer to play one- or few-shots. Modern TV shows like True Detective are a huge inspiration for manageable stories. In my experience, no system works as designed. Back in the day, our Tunnels & Trolls was a collection of our adapations. Today, I prefer ad hoc rulings over hard rules changes, but in the end it is plain and simple – BRP (e. g. Call of Cthulhu / Coc) and PbtA (tremulus, Dungeon World etc.) are easily adaptable/hackable. If possible, I try to play „as is“, but frankly most roleplaying games are either incomplete or faulty. As mentioned yesterday, usually I use ad hoc rulings to overcome any issues. Chivalry & Sorcery? Pass. I really don’t know and care much. Tough one – in my opinion, roleplaying games are no fantasy / science fiction / horror (etc.) novels and I skip most in-game fiction, because they bore me very often. The new Paranoia RPG offers a thoughtful and very concise writing. Unknown Armies (all editions) is also one of my favorites. Finally, every game that tries to stay under ~350 pages (setting & rules) has a good chance to score in this category. The era of hefty tomes is over. Da Internet? If I need something old or special, I search the net, shops and conventions. Some are good sources. Very good, but hard question and I vote for Matt Snyder’s original Dust Devils, a fine Wild West storytelling game with less than 30 pages (iirc). This game was an eye-opener for me. There are no gadget lists, but the included brief scenario provided a lot of fun – more than once. Really good stuff in the right hands. Ok, I am pretty lame, I repeat myself. 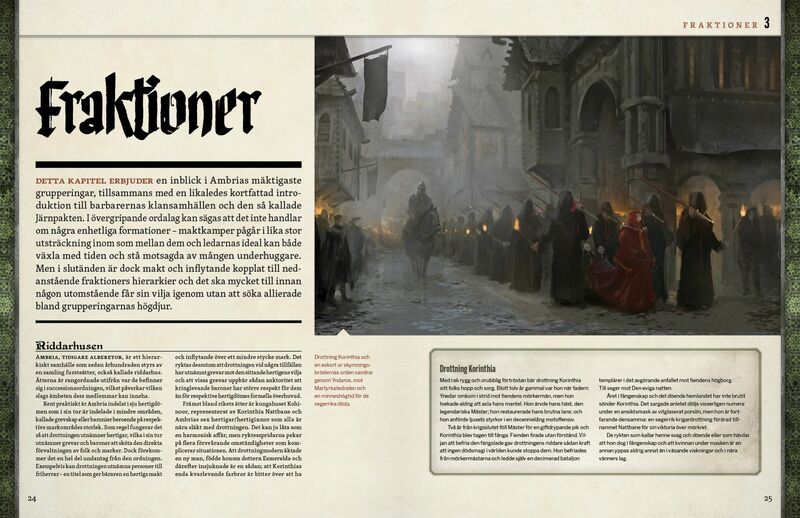 I prefer clean, minimal layout – I vote for Night Witches and Symbaroum (again). Pass. Sorry, I have absolutely no idea. Evil Hat, but Fate Core is absolutely not my game. Thank him or her and criticize in a constructive way. Keep it simple & straight. Pass, no real favorite, but I like Perilous Wilds by Jason Lutes for Dungeon World. Pen-and-Paper, dice & friends with undivided attention. In the era of omnipresent mobiles attention is a rare commodity. I vote for Järnringen’s Symbaroum (Indiegogo) and the roleplaying games by Fria Ligan (Free League) like Mutant: Year Zero (MYZ), Genlab Alpha, Mechatron, Tales from the Loop and Coriolis. (Nearly) On time, good communication, interesting European roleplaying games with excellent production standards. Tough question. A good mashup of Brotherhood of the Wolf (LE PACTE DES LOUPS) and Grim(m’s) fairy tales has a good to be up my alley. More time for my hobby and open-minded, interested friends to try different roleplaying games. What do you look for in a review of an RPG? Campaigns: do you prefer set-length or open-ended play? How long does it take to learn to get the most out of a game? What do you want out of an RPG experience? What gives an RPG its ‘replay value’? What part or parts of a session do you look forward to the most? If you are interested in a German translation, please visit Jaegers.net. You may also find rpgaday.com interesting. It seeks out posts marked with the #RPGaDay hashtag and collects them in one place. Personally, I think this years questions are better than the previous ones. I am unable to guarantee that I will answer all questions (on a daily basis), but I really appreciate this form of hobby promotion. So, lets give it a try! Enjoy & happy gaming. PS: As always, your mileage may vary!